He lost an eye and a hand in a fireworks accident. Yet Jose Clemente Orozco was one of Mexico’s great muralists – who painted some fiery murals in Guadalajara. 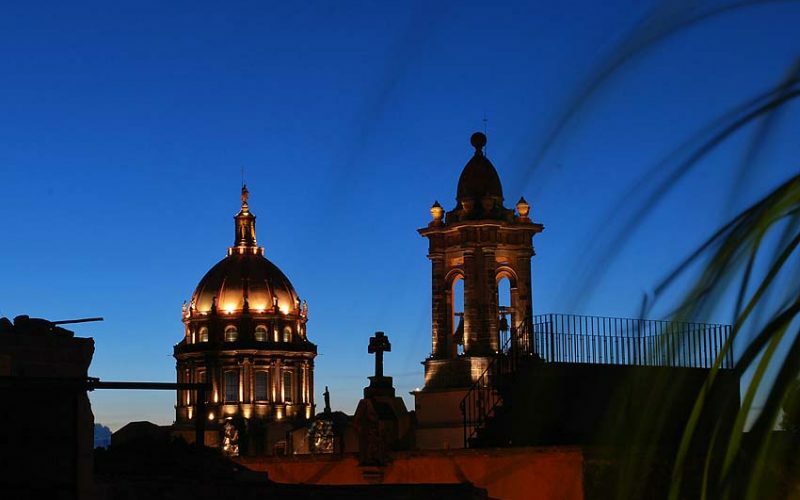 See Mexico’s colonial cities in style! Discover fine museums, magical rooftop bars and luxury inns in our colonial cities of Mexico guide. Colonial buildings. A candy market (true!). And a butterfly sanctuary. 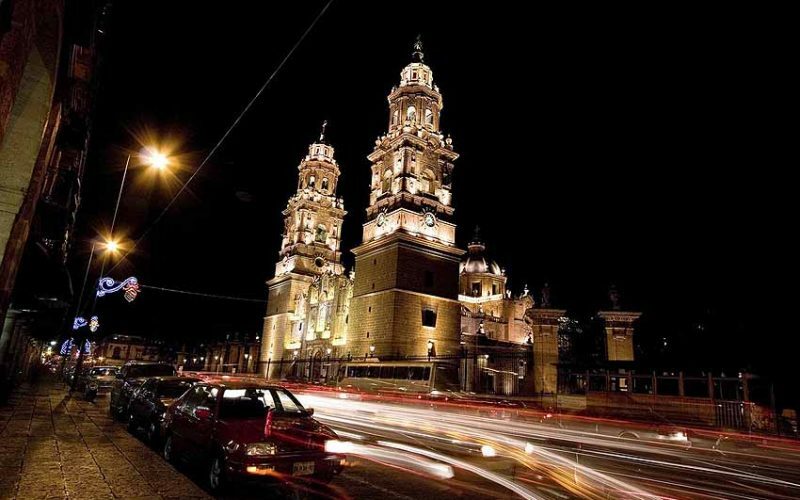 These are just some of the top tourist attractions in Morelia, a UNESCO-listed colonial Mexican city. Turning off onto a leafy side-street in Guadalajara, our taxi deposited us at the Villa Ganz boutique hotel. And what a gem it is! 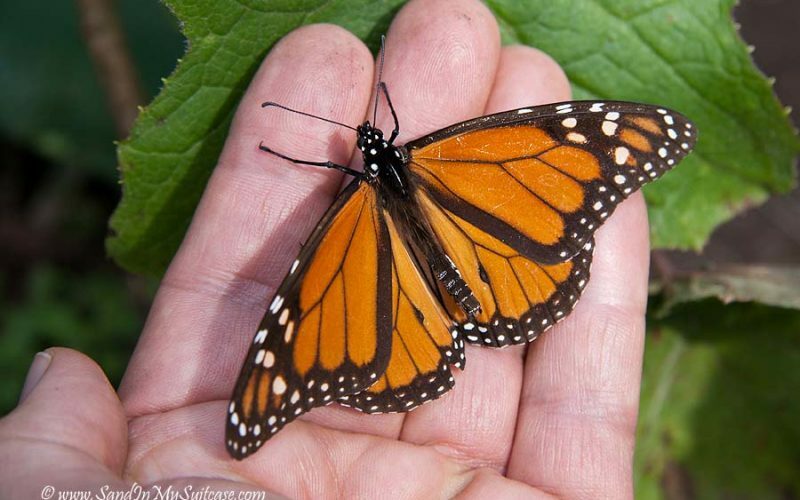 The migration of Monarch butterflies – what a story! In the magical Sierra Chincua Sanctuary in Mexico, thousands of orange butterflies swirl about our faces, quivering in the sunshine. A mask museum? Botanical gardens? Yummy restaurants? 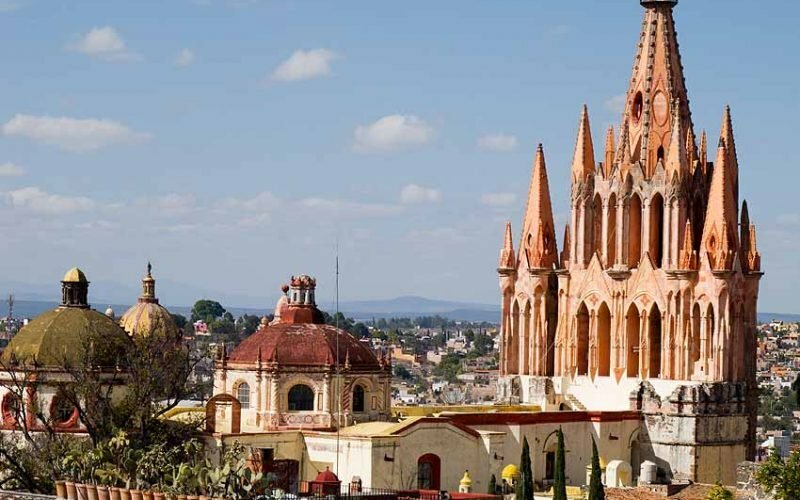 Visit San Miguel de Allende for more than just art galleries and colonial architecture. Why travel to San Miguel de Allende? To enjoy its colonial center, fascinating museums (even one on toys! 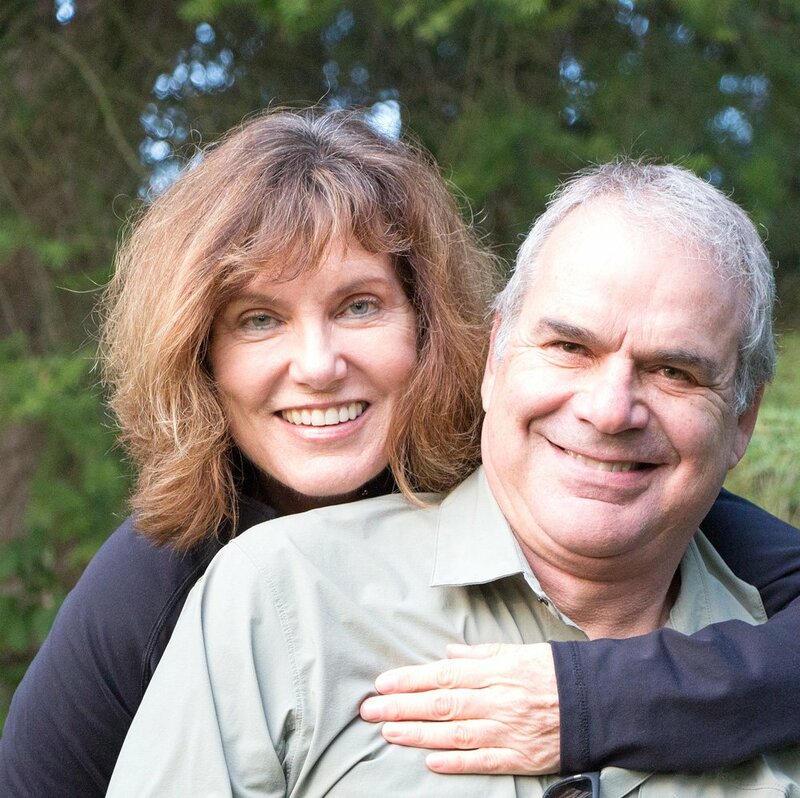 ), thriving arts scene and magical rooftop bars. Morelia: Cathedral fireworks-and-music show a spectacle! An excited crowd gathers by the Morelia Cathedral for the Saturday night fireworks and music spectacle. Some fireworks shoot straight up in front of us! The tiny Virgin statue has an impressive home – the Basilica of Our Lady of Zapopan. Each October, a million people welcome her back after her five-month tour. Which way to the Juarez Theater in Guanajuato? 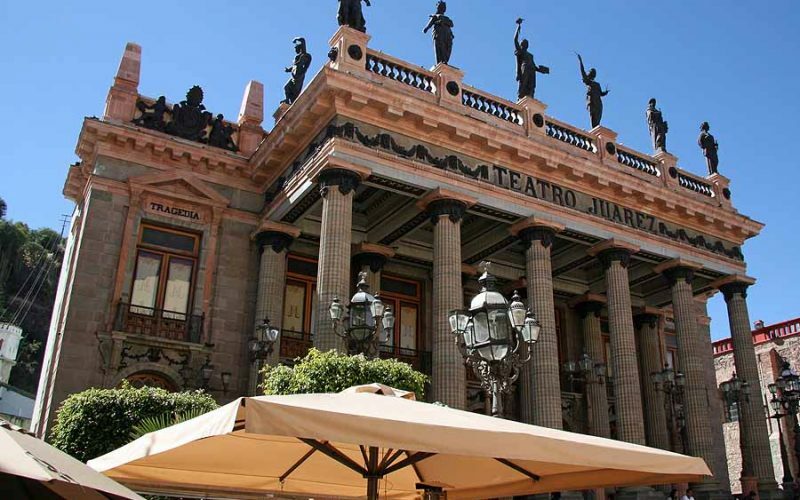 The outside of Guanajuato’s Juarez Theater (Teatro Juarez) blew us away. It’s decorated with Greek columns, lion sculptures and bronze statues. 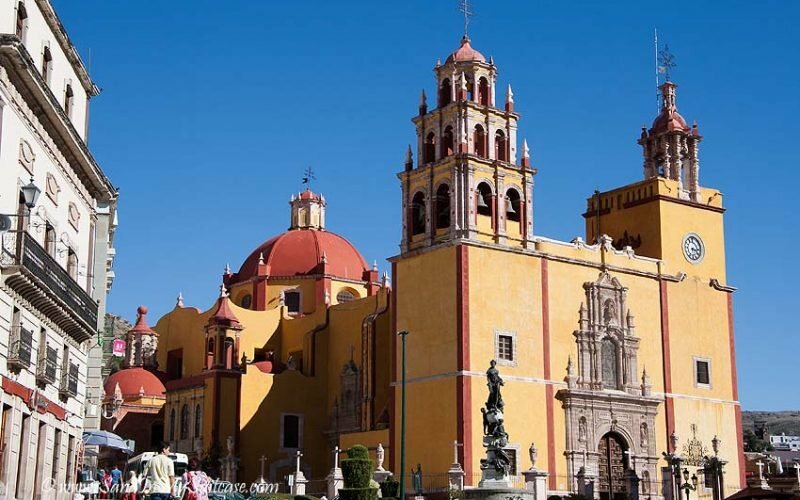 The colonial towns of Mexico are fabled for their cobblestone streets and fairytale architecture. 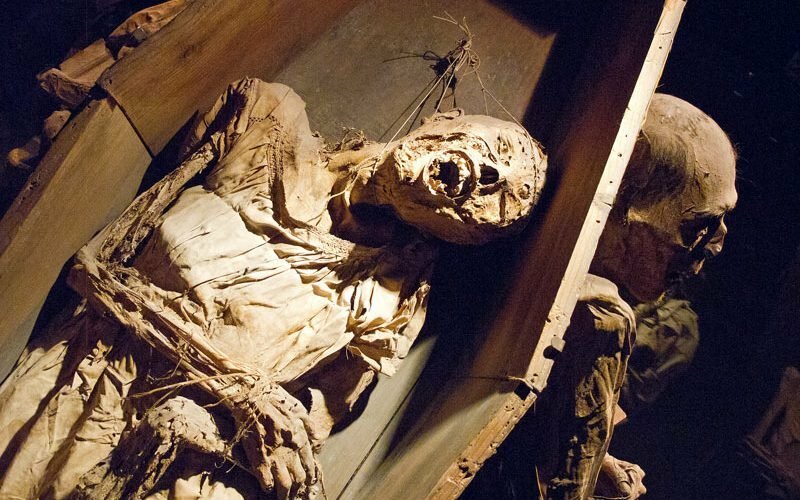 Guanajuato even has a mummy museum!